In the world of finance and investing, theories are often one of the most widely debated topics. Among a number of such theories, the concept or the theory of Option Pain, also known as Max Pain or Max option pain is well discussed and debated. In fact, the Max Pain theory is one of the most controversial of theories as it has a large number of supports as well as opponents. While there has been no conclusive evidence, the fact that the debate continues to rage on is indicative of the popularity of the Max pain theory and shows that the debate is unlikely to die out anytime soon. One of the reasons for the Max pain theory or the Option Pain theory is so fiercely debated is the fact that while the theory exists, there are some improvisations or customizations that could be made, based on the investor’s risk appetite; this variable brings about even more arguments to the table. So what is the options pain or the max pain theory and what does it infer? As you might have already guessed, the max pain or option pain theory is applicable to the options trading market. In this article you will learn more about the max pain theory and why it is so controversial. What is the Max Pain or Option Pain Theory? How to calculate the Max pain? 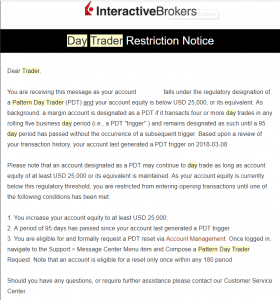 How does max pain factor into day trading? 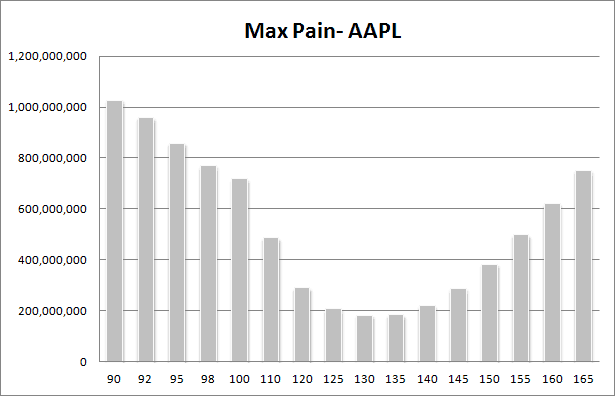 The concept of option pain or max pain is applicable to the options market and the theory dates back to 2004. The theory is still relatively young as a matter of fact and interestingly there are not many academic or scholarly papers written about this theory. The absence of the max pain theory among the academic circles is often used as one of the big reasons for opponents to this theory who dismiss its merits. So what is the Max pain or the max option pain theory all about? Based on the above statement, it is often assumed that the option writers or the sellers as a result tend to end up making more than the buyers, frequently and consistently. The rather simple statement is interestingly the reason behind the debate and more importantly with no conclusive evidence supporting for or against the statement. To best understand the Max option pain theory, let’s first assume a few simple observations from the above mentioned statement. At point in time, there is only one party (buyer or the seller of the option) who can make money. Thus, both buyers and sellers cannot make money at the same time. Applying the Max pain theory, we can also observe that only the option sellers stand a chance to make money than the buyers. Thus, from the above points we can come to the conclusion that between the option sellers and the buyers, there has to be a price point or a level where, if the options expire it would cause the least amount of pain to the option writers while causing the maximum amount of pain to the buyers who hold the option to maturity. Therefore if that single price point or level can be identified then we can assume that it is the price at which the options will expire. This price level is what the max option pain theory is all about. 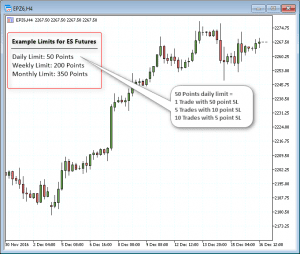 Identifying the price level at which the options are most likely to expire so that they cause the least amount of pain to the sellers and the maximum amount of pain to the option buyers. The option pain theory is also sometimes referred to as a proxy for the stock price manipulation targeted by the option sellers, despite the fact that there isn’t much information to prove this claim. So far we learned what the max option pain theory is all about. Now, let’s see how to calculate the max pain theory. The next section below gives a step by step guide on how to calculate the max option pain theory. It might seem a bit confusing at first, but the concept is very simple. The resulting price or level where the option writers lose the least amount of money is the point at which the option buyers will experience the maximum amount of pain. Therefore, we can conclude that the price level that is identified is where the prices will most likely expire. As you can see above, the procedure is very simple. The best way to understand the above is illustrate it with an example. To make it simple, let’s look at the following example for Apple Inc. options. The above table lists the strike price, the call option and put option open interest for each of the three strike prices. To clarify an option writer is the one who sells the option. Thus, if you write a call option, you as a writer will stand to make money if the market moves below the strike price. Likewise, you will lose money if the market moves above the strike price. As a put option writer, you will stand to make money when the market moves above the strike price, and you will lose money when the market moves below the strike price. We have three scenarios here based on the above example. If the market expires at 135, the call option writers will not lose money. Thus, the call option writers for 140 and 145 including 135 will be able to retain their premiums. It is now obvious that the losers here will be the put option writers (put option writers lose money when the market moves below the strike price). Put option writers at 140 will lose only 5 points. With open interest at 65660, in terms of dollar value, this translates to $328,300. Thus, the total combined money lost by the (put) option writers if the market expires at 135 will be a sum of total money lost by call and put option writers. In this second example, note that the Call option writers at 145 and 140 do not lose money. Therefore, the combined loss for the option writers if the market expires at 140 is ($251,955 + $ 64,030) $315,985. The call option writers at 145 will retain their premiums. Because the market expires at 145, all the put option writers also retain the premiums. So far, we calculated the total loss at each of the three expiration prices. The above example makes use of just three strike prices, but the same procedure can be applied which can of course become tedious and confusing at times. The above example shows the most likely strike price where the options will expire for the April 21 option expiry, which in this example indicates to be $140. 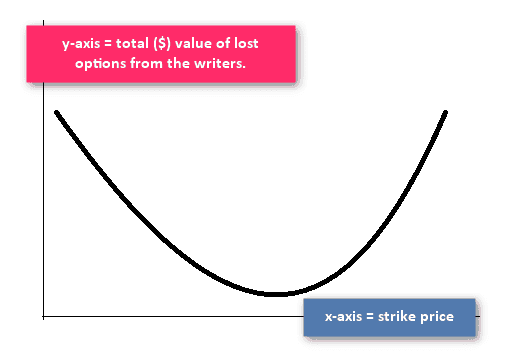 To summarize on how to calculate the option pain price, simply make a list of all the available strikes and compute the dollar value for the call and put option writers at those levels. This results in the total value which is calculated. After identifying the total value, determine the least amount of money that the option writers can lose. When represented as a bar chart, the curve represents an inverted bell curve. The price level can be established which will be the least point of pain for the option sellers or the maximum option pain for the holders of the options contracts. Having established the fact that the max pain theory can now point to the potential price at which the market will most likely expire, the next question is how to put this information to use. Generally, after identifying the max pain, traders make use of the price level to write their options. For example, writing a call option above or a put option below the max pain level is one way to look at it. When applying the theory of max option pain, the general consensus is that the option writers will drive the price of the shares up or down to the price level of the max pain option. Thus, for day traders there is a possibility that prices will rise or decline to the max option pain price level. This can occur especially during the days when the options are expiring. In the examples used in this article, the options contracts selected was for expiry at 140, for the expiry date of April 21st. Thus, if the max option pain theory is to be believed, one can potentially predict the price on the day the options will expire, based on the max option pain theory. Therefore, to conclude, the option pain theory is said to be a transfer of wealth from the buyers of the option to the sellers or the writers of the option. In a way, the option pain theory suggests that it is a zero-sum game. On the day of the options expiry, the underlying stock price moves to point which brings the maximum loss to the buyers of the option and minimum loss to the seller of the option. The price at which the options expire which triggers this transfer of wealth is the option pain, a specific price which is calculated based on the outstanding options in the market.